Elevita believes in the power of partnerships. We cultivate effective partnerships with our artisans who create beautiful, unique and high-quality products and with our retail partners who provide additional markets for our artisans. We are committed to the quality, superb craftsmanship, and sustainable design of our products and to ensuring fair wages for our artisans. If you are interested in carrying Elevita products in your store, boutique, or event, contact info@elevita.com for more information regarding wholesale opportunities. HOST AN IN-HOME BOUTIQUE: Elevita's In-home Boutiques have been hugely successful, especially around the holidays. For an evening of "Doing a World of Good" consider hosting an Elevita boutique in your home and inviting your friends to come. 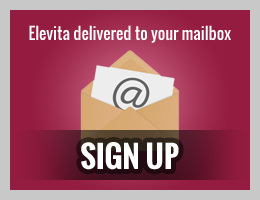 For more information contact us at info@elevita.com. MAKE A TAX-DEDUCTIBLE DONATION: Elevita's mission is to help develop sustainable livelihoods for our artisans who live in some of the poorest communities of the world and to help create educational opportunities for the children in those communities. 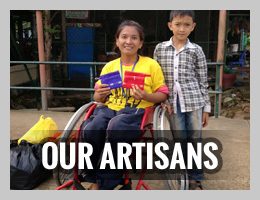 Our all-volunteer management ensures that every dollar from donations will directly help our artisans expand their enterprises and will also create greater economic and educational opportunities in their communities.